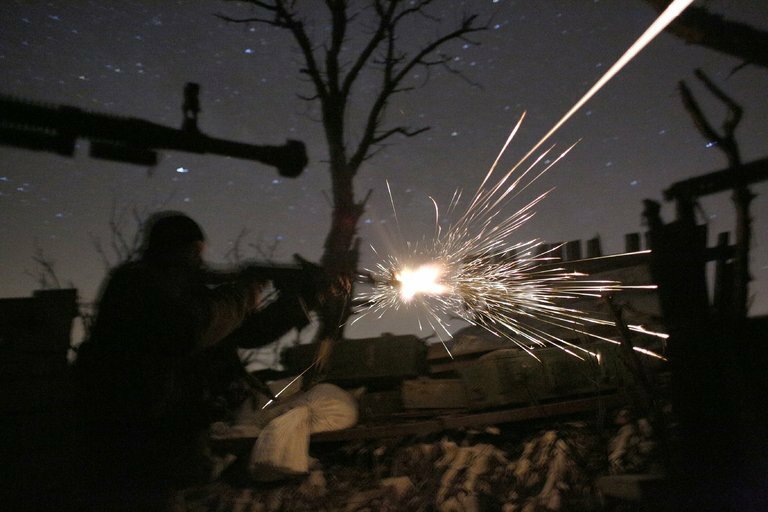 From the beginning of Saturday, April 7, the militants carried out 17 shellings of Ukrainian positions, as a result of which one soldier of the Armed Forces of Ukraine was wounded. This is reported by the press center of the Donbas conflict headquarters in Facebook. In the Donetsk direction, militants fired from grenade launchers near Avdiivka and Vodyanoe, from large-caliber machine guns - in the Hnutovo district. Not far from Talakivka, enemy troops used an anti-tank missile system, and near Shyrokine, Slavne and Pavlopil an enemy sniper worked. Also under fire from small arms got Ukrainian soldiers in Avdiivka, Vodiane, Slavnye and Pavlopil. In the Lugansk direction, the militants used hand-held anti-tank grenades and heavy machine guns near Luhanske settlement. "As a result of enemy attacks, one Ukrainian soldier was injured: he was taken to medical institution and received the necessary medical assistance," the report said.